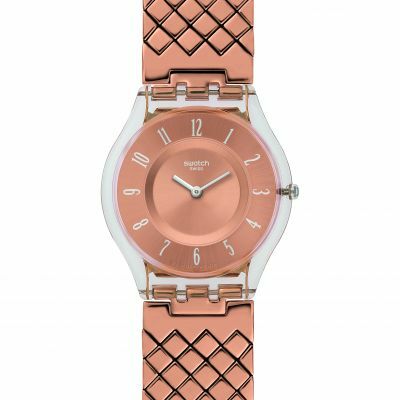 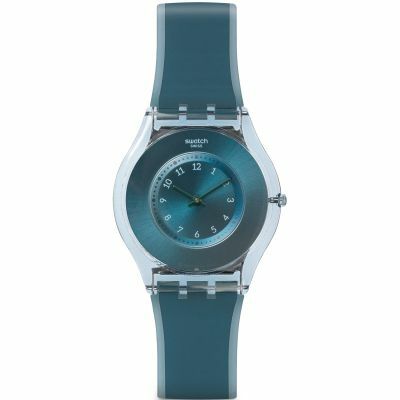 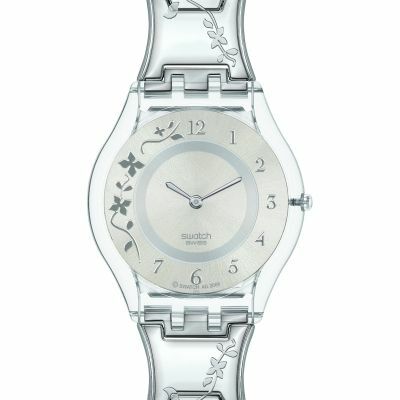 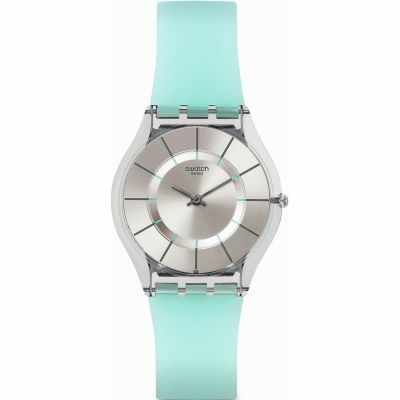 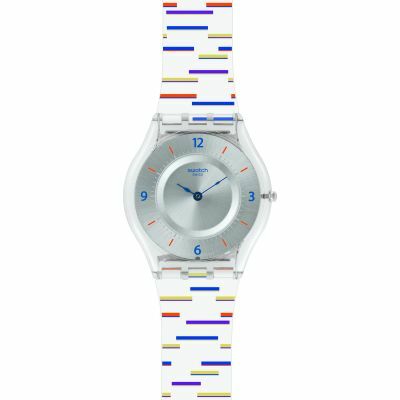 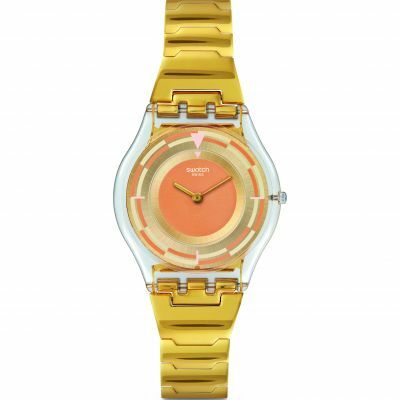 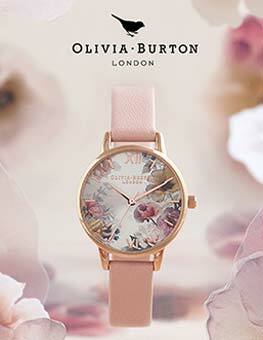 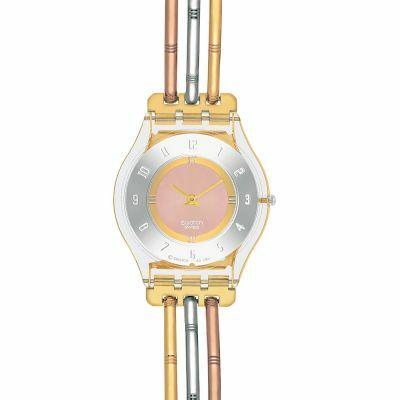 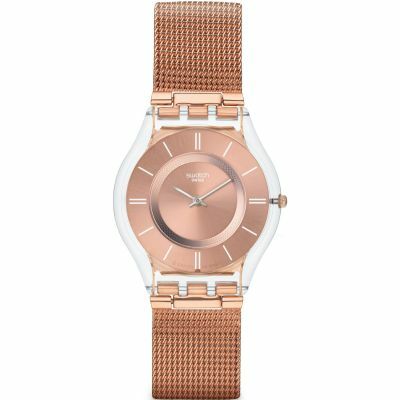 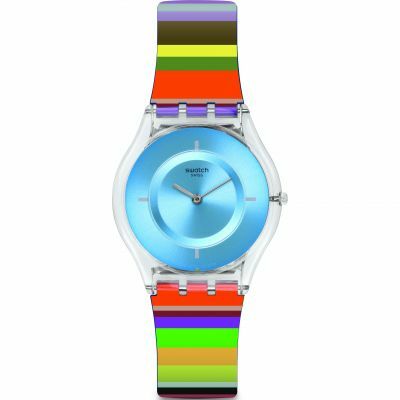 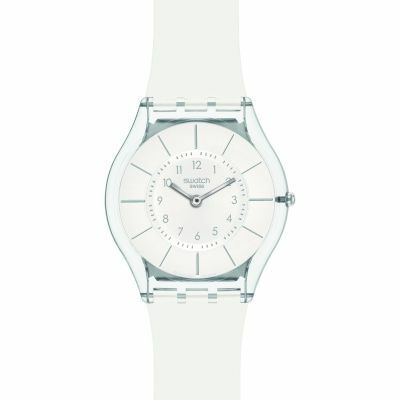 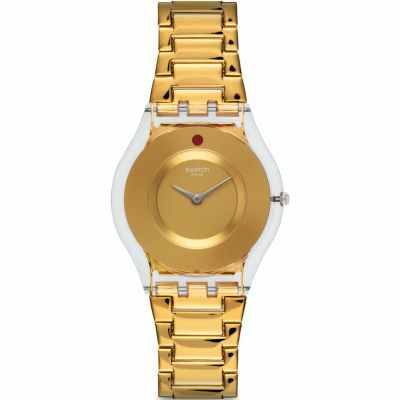 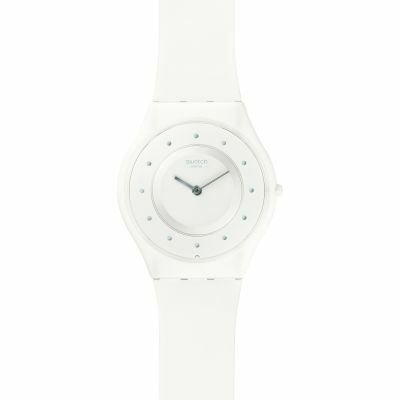 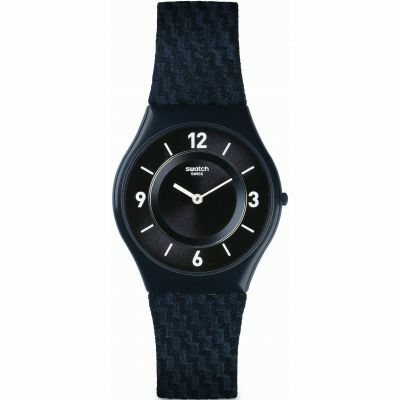 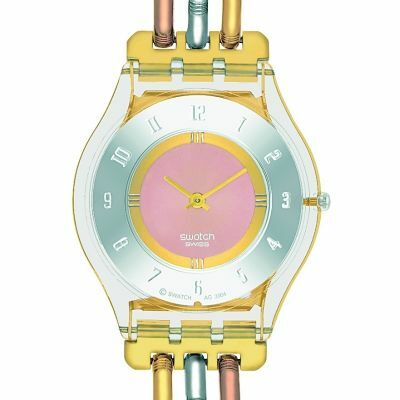 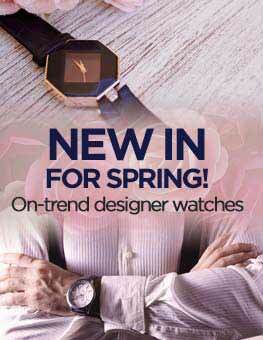 A very feminine timepiece from Swatch that is exceptionally low in profile and a pleasure to wear. 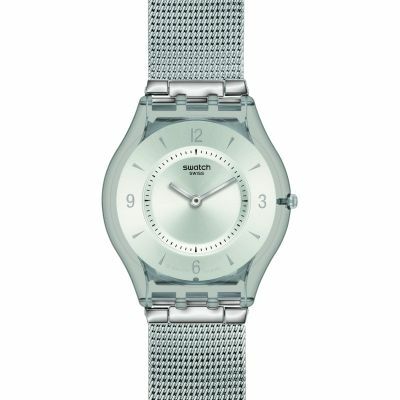 A crystal studded stainless steel bracelet completes the wristwatch beautifully. 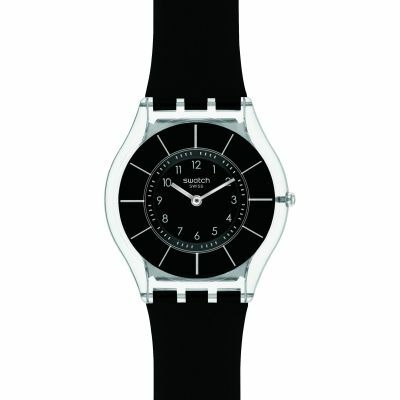 This was bought for daughter, who absolutely loves it - very stylish and makes her feel very grown up. 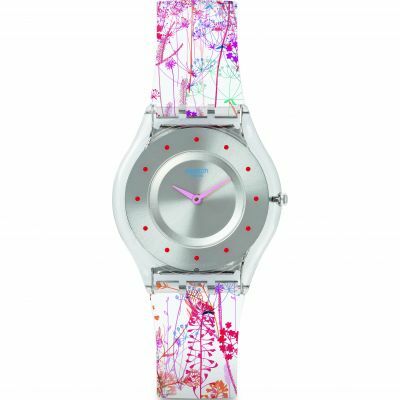 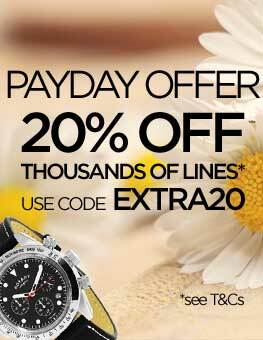 Plus fantastic service - as we sent one watch back (preferred the one we bought) - and there were continuous emails confirming receipt, refund, etc. 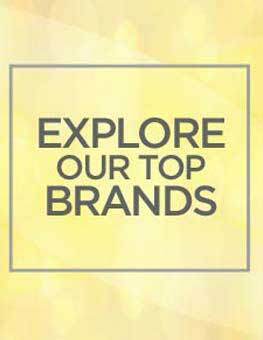 Great - would use again and recommend. 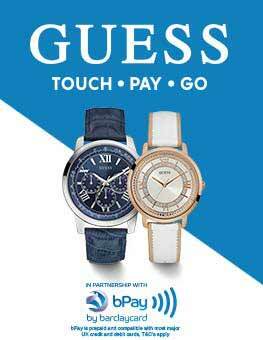 Buying online should always be this easy.